In this tutorial, you will learn how to add a brush to a level (not to be confused with subtracting a brush), scale and rotate the brush and create a brush based off of an existing room. In the previous chapter, we discussed moving a brush using the CTRL key. You will quickly find that often you want to move a brush to a part of the level that is not on the screen. To move it you can either move it in small amounts and then move the screen or you can zoom out, move it and zoom in for final placement. There is an easier way to do this. If you hold down the shift key instead of the CTRL key when you drag your brush, the window will move with it. Try this now. Make sure your brush is selected and while holding down the shift key, drag the brush. You should notice the whole level moving underneath it. You can move items such as the player start or lights with the CTRL key or the shift key the same way you move brushes. So far, we have only used the brush for hollowing out space. Just as importantly however, is filling in space. Once you have a room hollowed out, you can add detail architecture such as columns, platforms, bridges and even tables by reshaping the brush and then filling it in (adding it to the level). To show you exactly how this works, lets run through the process by creating a column. Start with a new level and make a circular room with a height of 256, a diameter of 512 and 12 sides. Put a light source and player start in the room. Go to the brush properties of a cylinder (right click on the cylinder tool and select properties), change the radius to 16 and click on build. Note: Sometimes, when setting the brush size, it does not update the brush. When this happens, the brush needs to be reset. Select brush from the main menu and then reset. When the third menu opens, the brush will reset. Just click off the menu to close it or select all. You should see the brush added to the level. If you like, go ahead and rebuild and run the level to see how it looks. Notice after your rebuild the level how the column creates a shadow where it blocks the light. You can subtract columns, crates, platforms or whatever brushes you desire. Occasionally your brush will get unselected and possibly something else will become selected. This typically happens when you click on something besides the brush. To unselect an object, it is easiest to use the move camera tool (top left on the tool pallet) and click anywhere in the gray in an editing window. To select the brush, keep the camera tool selected and click on the red outline so it turns bright. As an exercise, create a square room. Add 3 beams evenly spaced along the ceiling (giving them a width and height of 16 and make them as long as the room). 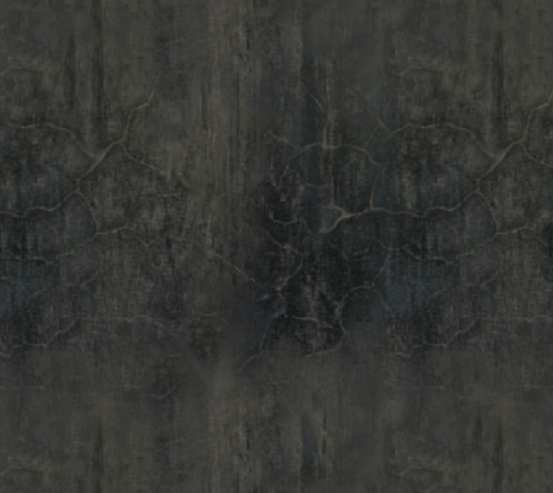 Try and give them an appropriate texture. Place a light and rebuild your geometry to see how the lighting looks against the beams. Many times you will need to rotate a brush. This is useful for things like turning a room 45 degrees or rotating a cylinder on its side. The quick way to rotate a brush by using the right mouse button and the ctrl key while the camera tool (top left button) is selected. Hold down both the ctrl key and the right mouse button and move the mouse to see the brush rotate. You can, of course, rotate the brush in any window to rotate it different directions. You can also use the rotate button to rotate a brush (1st column, 2nd down). With this button active, you can rotate the brush along any of the 3 axis in a single window. Use the left mouse button + ctrl key and drag the mouse right and left to rotate the brush along the XZ plane. The right mouse button and ctrl key will rotate it around the XY plane. Finally, both mouse buttons + the ctrl key will rotate it around the YZ plane, only on this axis, you should move the mouse forward and back rather than right and left. Once you rotate the brush the way you want it, simply add or subtract it from the level. The recommended way to re-size a brush is to change its properties as we discussed in chapter 2. This is so you can get the brush the exact size you want it. This is not always feasible, however. While there are a few scaling tools on the pallet, the only one I recommend using is the the Snap Stretch tool (1st column, 4th down). This tool stretches a brush in any one direction (along the x, y or z plane). The important thing about this tool is that it only allows you to scale the brush by grid increments. This comes in very handy when trying to get rooms to line up. To re-size a brush, select the scaling tool on the pallet and, while holding the left button down, drag the mouse right and left to watch the brush re-size. This will widen or narrow the brush depending on the direction you move the mouse. Now, holding the right button, drag the mouse up and down. When you are happy with the size of the brush, release the button. Note that you can re-size the brush in any of the wire-frame preview windows. For practice, go to an area in the level (or make one) where you have some open space inside a room. Create a brush cube with a height, width and breadth of 256. Now, in the top view, scale the cube so that it has a width and breadth of 4 squares (64 units). First scale it's width using the ctrl key and left mouse button, then scale its breadth using the ctrl key and right mouse button. Finally, go to a side view and scale it's height down to 2 squares (32 units). You should have a small box. In a side view, move the cube down so it is resting on the floor of the room and add it to the level. I'm sure you noticed that when you re-sized the brush, it re-sized from the center. Now lets suppose you have a brush that is already setting on the floor that you want to make taller. You could move the brush up and then re-size it. This might take a little moving around and can be a bit tedious. You can change the point from which a brush is scaled to make this type of alignment easier. If you look at the brush, you will see that at each point where the lines intersect there is a small red dot called a vertex. These vertices, along with the line connecting them, make up the brush. In the center of the brush is another vertex, which is the center of the brush. You should notice that this vertex is a little bigger than the others. All the stretching and rotating on the brush are done from this point. This is the brush's pivot point. You can move the pivot point by selecting the camera tool from the tool pallet and then right clicking on a vertex. Do this now. Select any vertex and right click on it (make sure the camera tool on the tool pallet is selected). Now try re-sizing the brush and rotating it. As you re-size and rotate, the pivot point will stay in the same position while the rest of the brush is moved around it. To set the pivot point back to the center, just right click on the center vertex. Go to the area where you made the small cube in the previous exercise. Change your brush to a cylinder with a radius of 64, height of 256 and 12 sides. In the top view, move the cylinder over the cube you created. In the side view, you should see that the cylinder is too big to fit in the room. Move the cylinder so the bottom is just sitting on top of the cube. Scale the cylinder down (ctrl key + right mouse button). Notice that as you shrink it, it lifts off of the cube. Now, scale it back up so that it sits on the cube again. Move the pivot point by right clicking on any of the bottom vertices so that the vertices becomes selected. Now, scale the cylinder down so it's top is 4 units below the ceiling. This time, the bottom stayed at the pivot point. Add this brush to the level. You now have a column sitting on a tall base. Another common task you will be performing is making a duplicate of a brush. There are two ways to do this. I'm going to talk about the more difficult method here, because it is more powerful. You can take any existing architecture and copy it to the brush by right clicking on the piece you want to copy and select copy/to brush. Once you have the new brush, you can move, re-size, rotate or do anything else you need to with the brush before placing it in the level. Remember the small cube you placed the column on? Select it so it highlights. The red brush should no longer be selected and the blue cube should brighten. Once selected right click on it to make the menu will pop up. Select 'Copy', then 'To brush' from the menu. You now have a brush shaped like the original cube (same dimensions). In a side view, drag the cube so that it is resting on top of the column (it should fit in between the column top and the ceiling). Add the brush to the level. You should now have a column with both a base and a top. When editing a level, brown lines indicate a brush that has been subtracted from the level. Blue lines are a brush that have been added to the level. So far, we have only talked about brush that are the primitive shapes. Clipping is one way we can change the shape of a brush to make it fit perfectly in an area. For this exercise, lets start with a new map. Create a circular room with a radius of 256 and 12 sides and subtract it from the level. In the top view, drag the brush over so its center sits on a wall of the original room (half the cylinder will be in the room, half outside). Now click on the intersection button (3rd column, 3rd down). When you click it, you will see that the part of the brush inside the room is 'clipped' off and you have a new brush that is no longer circular, but has more of a crescent moon shape to it. You can still rotate, re-size, move, add or subtract this new brush just like you would any other brush. For now, go ahead and hollow it out too join the two rooms together. That was intersecting a brush (selecting all parts of the brush that intersect with solid walls). Now we will try de-intersecting a brush. 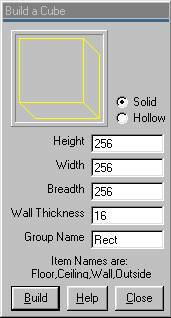 Create a new room, this time a cube with a breadth, width and height of 256, and hollow it out. Change the brush to a cylinder and set the outer radius at 16. Change the number of sides to 12. Before adding this column to the level, drag the column so its center sits on a vertex of the room. Most of the brush should be outside the room, with a quarter still inside. Click on the de-intersection button on the tool pallet (3rd column, 4th down). All that should remain of the brush is a wedge in the corner of the room. Add this to your level and you will get a column that is merged with the wall. To reset your brush, just click on the cylinder brush button and the remaining portion of the brush will return. Drag it to each corner of the room and repeat the intersect/add process. Once finished, make sure you have a light source and player start, then rebuild and run the level to see how it looks. Sometimes, you will get some odd effects in the preview window. A wall may be missing or overlapping where you don't think it should be. Don't panic. Try rebuilding your level and see if that fixes it. Also note that when you run a level, you may die immediately or be unable to move. This is also usually because the level needs to be rebuilt. In this tutorial, you should have learned how to add a brush to a level and how to manipulate it including re-sizing, rotating, moving the pivot point and brush clipping.